AMTTF is equipped with an Environment chamber where the Temperature and Humidity can be controlled. 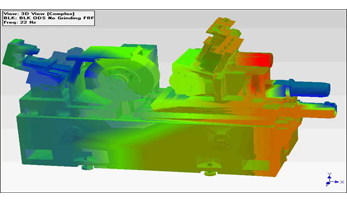 Thermal chamber helps to evaluate the environmental limits for every product of machine, machine elements, machine sub-systems, telecommunication, aerospace, automotive and electronics components. 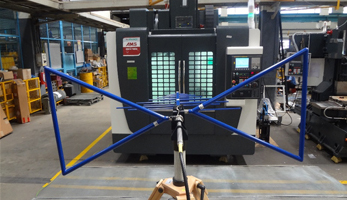 AMTTF has a specialised Automated test rig for testing of Machine Tool Spindles. 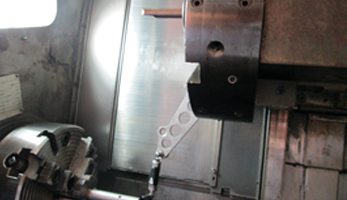 Spindle Test Rig (STR) helps to evaluate the performance and reliability of the spindles. 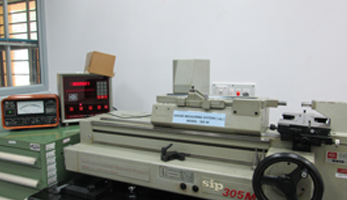 Test rig is useful to the Machine tool manufacturing industries in testing and bench marking of machine tool spindles. 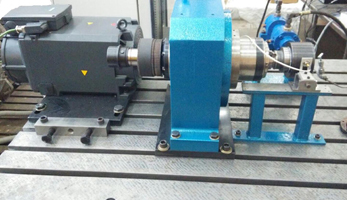 The test rig is capable of testing spindle for Thermal behaviour, running accuracies, spindle rigidity and Spindle noise. 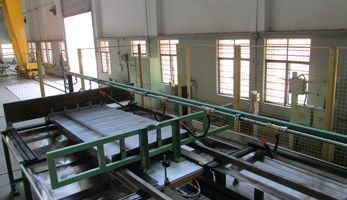 AMTTF has a specialised Automated test rig for testing of Guideway Covers. 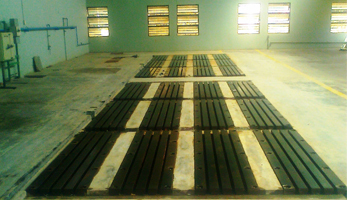 Telescopic Cover Test Rig (TCTR) helps to evaluate the performance and reliability of the Guideway covers used in Machines. Test rig is useful to the Machine tool manufacturing industries and the cover manufacturers in testing and bench marking of Telescopic Covers. The test rig is capable of testing the cover for its functionality, Performance and Reliability under different conditions like, with coolant, without coolant, with chips, etc. Fully programmable for stroke, speed and number of cycles at specific speeds to simulate real duty cycle. 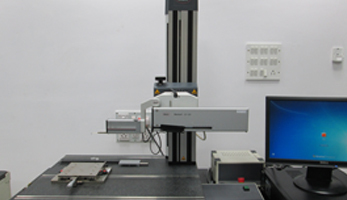 AMTTF is facilitated with Portable Residual Stress and Retained Austenite Measuring Equipment, which works on the principle of X-Ray Diffraction. 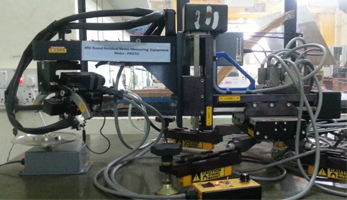 Proto iXRD equipment helps to measure the surface level residual stresses using Non destructive method. Stresses in different depth also can measured by using Electrolytic etching. 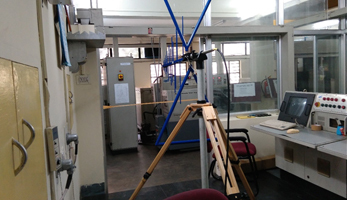 AMTTF is facilitated with Test bed facility for conducting Full power, Chatter, Vibration and study of Dynamic characteristic of machines, under clamped/Grouted conditions of the machine under test. Total Test bed surface consists of 24 beds (0.5x2.0m area), one of its kind established at AMTTF is designed with a mono-block concrete structure. 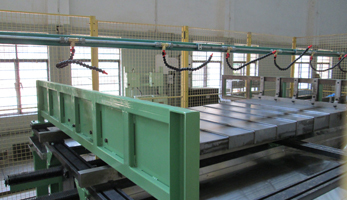 on a steel frame with levelling arrangement, facilitating the total top surface area of testbed with in Flatness. 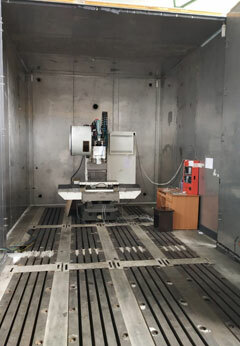 All the 24 Testbeds are designed and manufactured with T-slots, facilitating the machine/test item grouted to the foundation, isolated from external vibrations. 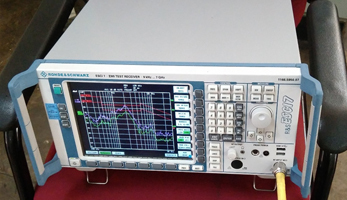 The testbed area is capable of accommodating mounting one or more machines and tested simultaneously. AMTTF is equipped with a metrology lab necessary equipment for inspection and calibration of dimensional measuring instruments. 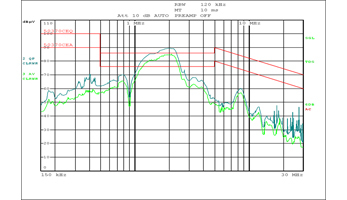 Vibration analysis is a process of looking for anomalies and monitoring change from the established vibration signature of a system. The vibration of any object in motion is characterized by variations of amplitude, intensity, and frequency. 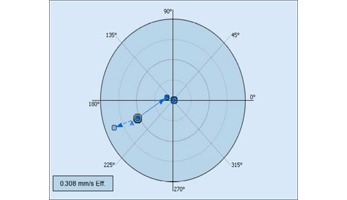 These can correlate to physical phenomena, making it possible to use vibration data to gain insights into the health of equipment. The Equipment Performance is evaluated with reference to the relevant parts of BS EN/ IEC/ CISPR standards, and the evaluation is done for conducted Emission and Radiated Emission and Immunity. 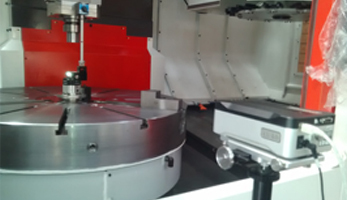 AMTTF is equipped with the latest state of art equipment and Trained Engineers to carry out the calibration services of CNC Machines.